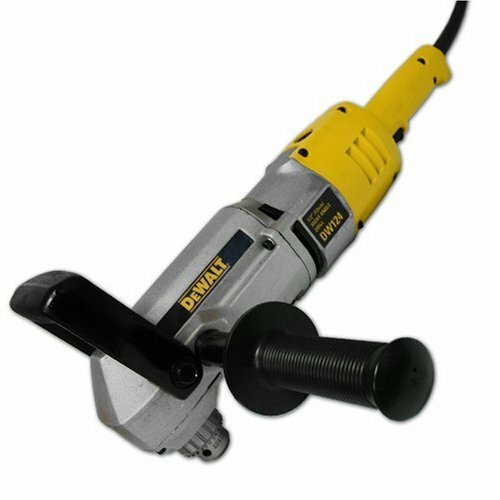 1/2" Heavy Duty Joist & Stud Drill, 8.0A 2 Speed 300 PRM & 1,200 Rpm, Reversing, Die Cast Metal Motor & Gear Housing, Adjustable 2 Position Side Handle, Includes Heavy Duty Carrying Case, Bail Handle, Chuck Key & Holder. I bought this drill to use in my work. I works great. It has a good reputation in the trades too. I have spoken with plumbers who use it and they like it a lot. It is a USA made tool and is built to last. I wish all my tools were made this well. I got this drill at Tool-up with free shipping. They are in CT. It was 299 and I love it. I use alot of tool and seem to like the Dewalt products the best as far as performance and wear and tear. If I have a choice between Dewalt and another product, my choice is always dewalt! Great quality product at an affordable price. Another Great Product from Dewalt !! I'm an electrician, and this thing will drill holes all day! The best drill i have ever owned, and you can't beat Dewalt for quality. Highly recomended.